Shaun.e.b is also available to book as a mixed show covering popular hits of all styles of music from the 60's to the present day. Shaun.e.b will take you on a musical adventure, performing some of the greatest songs ever written, taking you on a journey through pop, rock, reggae, soul, ballads, Ska, rock & roll and most other styles you care to think of. The show covers songs by artistes such as: Queen, Culture club, UB40, The Monkeys, Neil Diamond, Bob Marley, The Killers, Boyzone, Barry White and Madness just being a few to mention. All of the backing tracks used in the show have been specially made and are of very high quality so you can be assured you will receive the best sound possible. 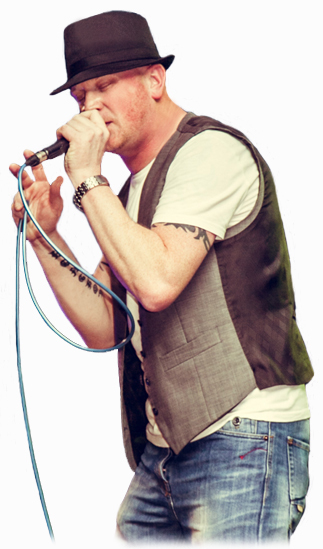 Shaun.e.b has over twenty years experience as a singer and entertainer and has performed in various other european countries over the years. Whether you own a pub, club, holiday park or are having a party or even a wedding, then shaun.e.b is the act for you. For a small extra cost Shaun.e.b offers a DJ package with all of his shows, this will help you cater for your whole evening without having have to book a DJ seperatley and saving you money, any questions, please just ask.